Some of the most fun we've had with projects has been making sets and props for clients. We've done everything from making playground swings for an apple, to building a full-size house facade inside a photo studio. Whether it's painting a simple backdrop, finding the 'just right' prop, or carving a giant spoon, Lavin+Stacey is ready to take on your project. 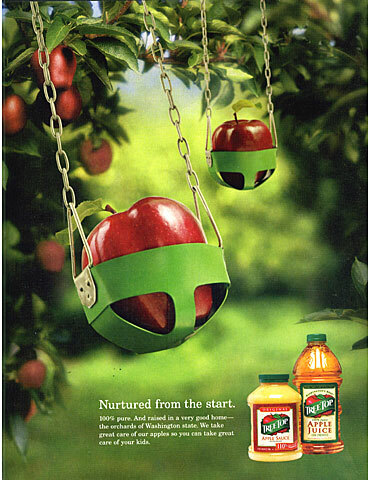 Tree Top Apple Juice needed two tiny playground swings made for an apple juice ad campaign. The background was added, but the tiny swings are real!